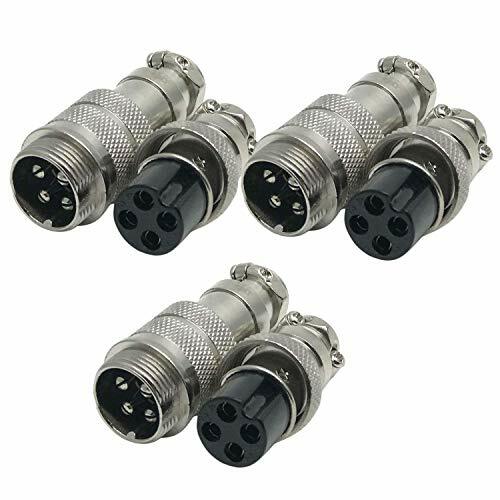 Multipin Mobile Connectors Although these connectors are generically identified as microphone connectors, they are used in a wide variety of applications which require reliable, economical multi-pin connections, particularly for rugged mobile use. The positive screw-on retaining ring, & built-in strain relief, provide reliable contact under extremes of shock and vibration. 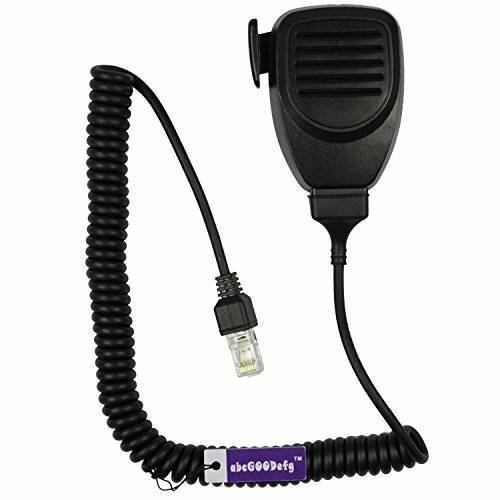 Our push-to-talk hand held microphone has a 5 wire system. It is ideal for CB and professional communications. It is made with 500 ohms impedance. This model includes a 1/4" phono plug. 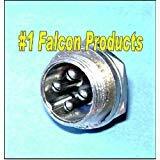 Falcon Products 4 Pin Microphone Panel Jack Plug for CB Ham Radios. Fits all 4 pin mic radios. 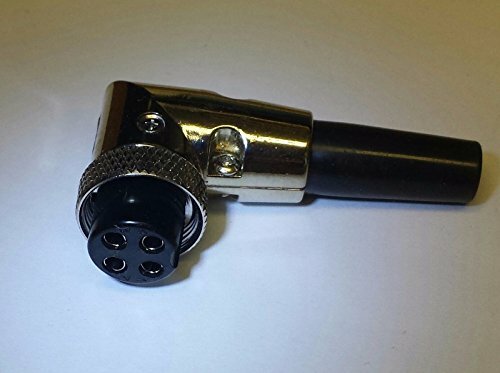 Pro Trucker CB Radio 4-Pin Male Microphone Extension Jack The Pro Trucker 4-pin microphone extension jack is made of brass, with a high quality chrome finish. 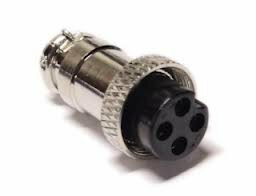 This part is used to create a microphone extension cord. 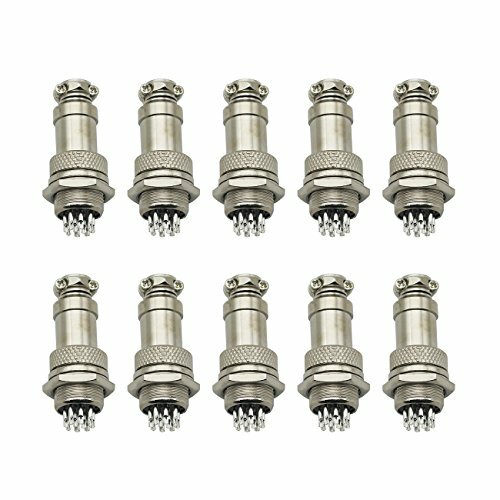 Features and benefits: • Sold as inline jack without plug (edit quantity in shopping cart for more than one jack) • Metal body is rugged and shielded • Inline jack body has clamp at cable exit • Screw on threads assure that plug and jack stay mated • Works with cable diameter up to 0.275" maximum • 4 power pins, plus conductive metal body for shielding • Pins are rated for 100 volts and 10 amperes • Solder cup connections for up to 16 gauge wire Pro Trucker has been a leading innovator in consumer electronics for more than 3 decades and stands behing their product quality and performance. Try this microphone jack extension today, and you'll be glad you did! 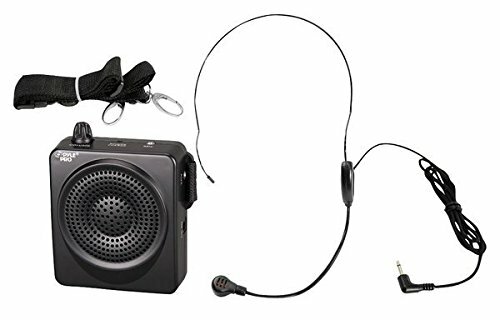 Always be heard with the PWMA50B, a 50-watt, rechargeable waist-band PA with headset Lavalier microphone. 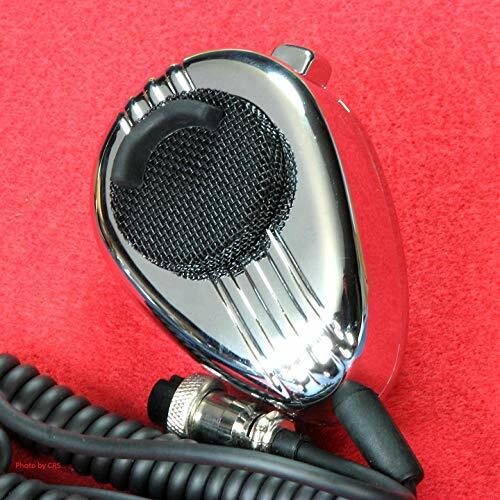 The small, super-powerful voice amplifier is perfect for teachers, coaches, tour guides, and presenters - you can be heard up to half a mile away. Built-in rechargeable batteries last up to 12 hours. Headset microphone keeps your hands free. The auxiliary input lets you play music from an iPod or other digital music player through the speaker. Belt clip and adjustable waist band strap included. Speaker color: black. 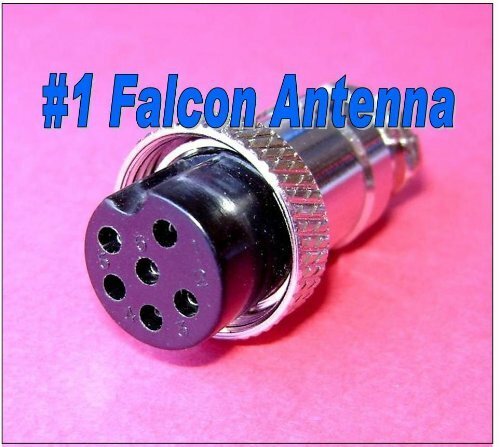 Falcon FC6, this is a 6 Pin CB Ham Radio Microphone Female Plug End. 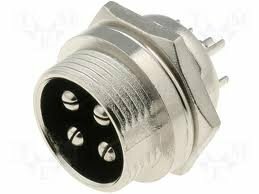 Fits all 6 pin male cb and ham radios. 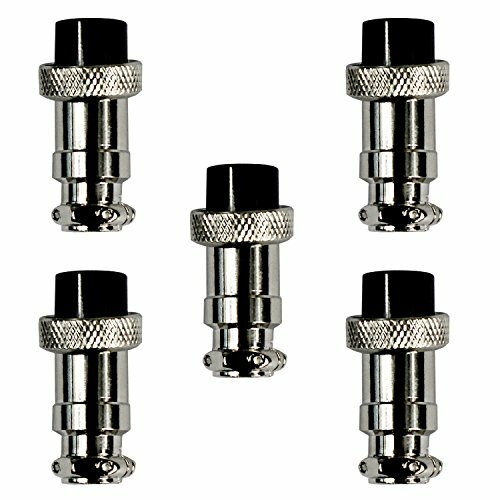 These are the highest quality 6 pin mic plugs on the market. 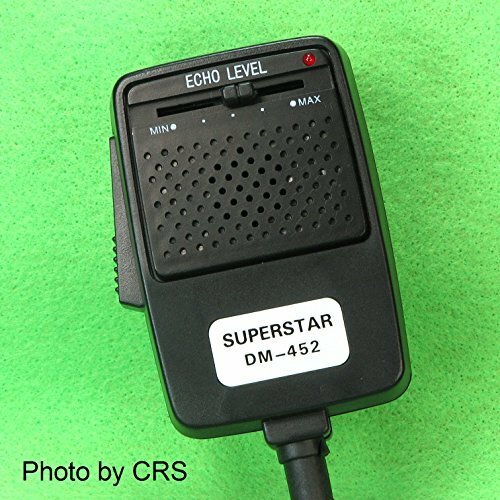 Convert your 4-pin CB radio mic to work on a 5-Pin SSB CB with the Pro Trucker adapter. 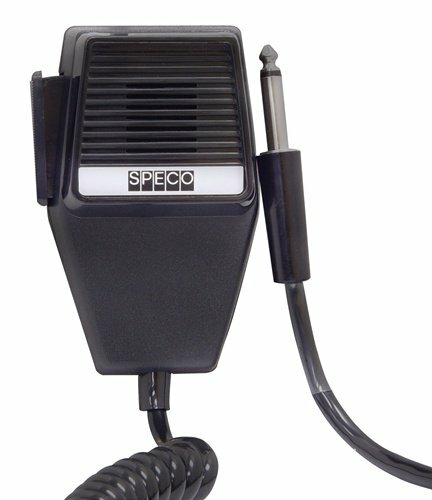 Pro Trucker products are made with quality materials and have been proven to be the most consistent products in the CB Radio market for more than 30 years. 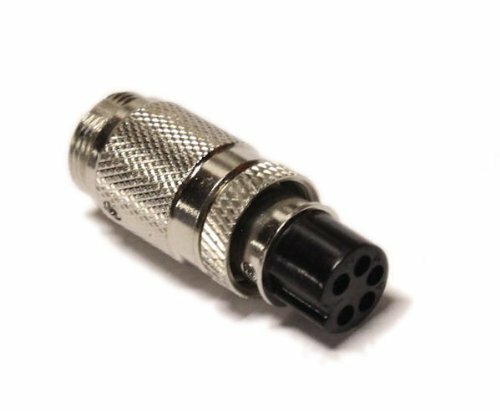 This mic adapter is built with superior components on the inside, compared to the competition, and will make your conversion seamless and easy! 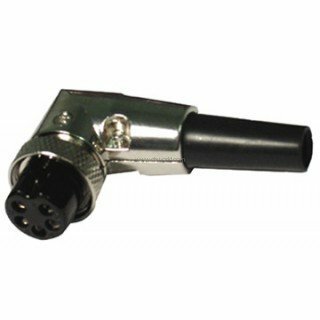 With a plug and play setup, this adapter will simply connect to your 4-pin mic right into your 5-pin radio. Description: Rated Current Voltage: AC 125V Max Current Voltage: 240V Rated Current Amp: 5A Pin Number:10 PINs Plug Hole Diameter:12mm Relative humidity: Up to 98% at +40deg C Atmospheric Pressure: Up to 4.4 kPa (Kilopascal) Vibration Frequency:10 ~100Hz, acceleration 100m/s Square Centrifugal: acceleration: 250m/s Square Package Type Used:(Use with cable and soldering iron) Use with Cable:AWG 24-16 Ambient Temperature: -50deg C ~ +70deg C Material: Metal and Hard Plastic Main color: Silver, Black Life: after the use of the plugs 500 times, the sockets and outlets should not be damaged. 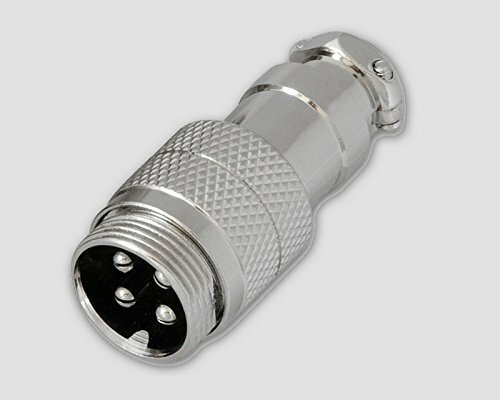 Widely used in data acquisition systems, inclinometer, computer automation measurement and control systems, mechnical equipment, audio/video, communications, automotive and other industries. Mainly used for the electronical connection between the cables. Waterproof, airproof and really a great apparatus electronic connector. 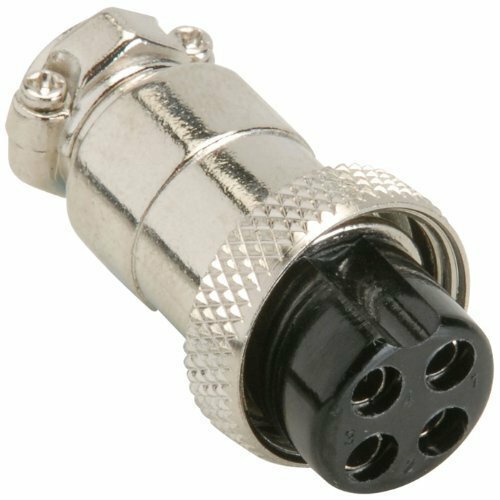 Falcon FC4RB, 4 pin right angle female microphone plug end. 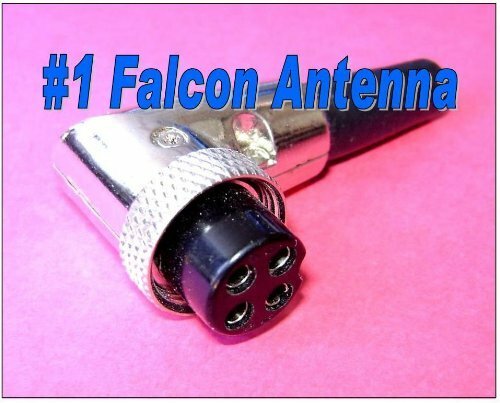 Fits all 4 pin cb and ham radios. These are the best quality products. Description: Rated Current Voltage: AC 125V Max Current Voltage: 240V Rated Current Amp: 3A Pin Number:5 PINs Plug Hole Diameter:12mm Relative humidity: Up to 98% at +40deg C Atmospheric Pressure: Up to 4.4 kPa (Kilopascal) Vibration Frequency:10 ~100Hz, acceleration 100m/s Square Centrifugal: acceleration: 250m/s Square Package Type Used:(Use with cable and soldering iron) Use with Cable:AWG 24-16 Ambient Temperature: -50deg C ~ +70deg C Material: Metal and Hard Plastic Main color: Silver, Black Life: after the use of the plugs 500 times, the sockets and outlets should not be damaged. 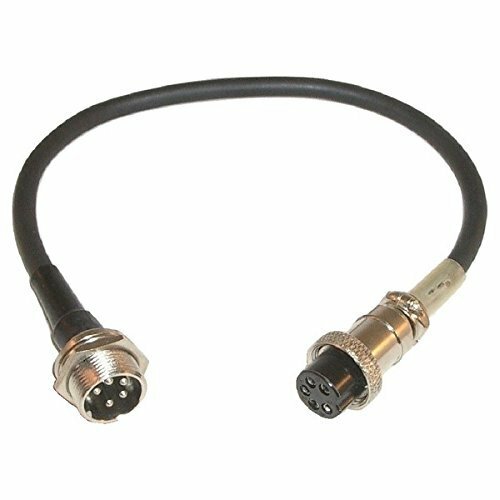 Widely used in data acquisition systems, inclinometer, computer automation measurement and control systems, mechnical equipment, audio/video, communications, automotive and other industries. Mainly used for the electronical connection between the cables. Waterproof, airproof and really a great apparatus electronic connector. Comparison of some different model Turner base microphones and mic plug wiring. 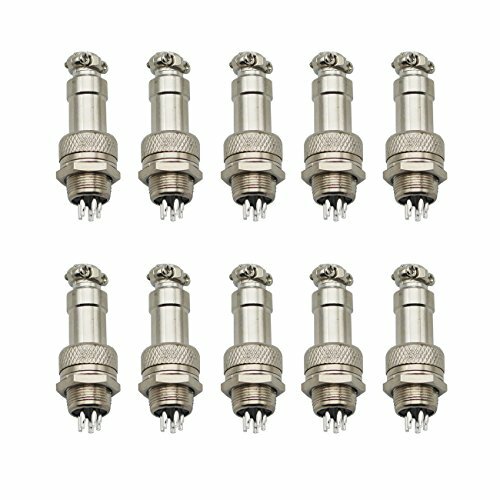 Compare prices on Cb Mic Plug at Elevelist.com – use promo codes and coupons for best offers and deals. We work hard to get you amazing deals and collect all avail hot offers online and represent it in one place for the customers. Now our visitors can leverage benefits of big brands and heavy discounts available for that day and for famous brands.